98.3 Star FM distinguished on air as CKSR-FM is placed among the top Canadian radio stations; Broadcasting in Chilliwack, British Columbia at 98.3 MHz. Star 98.3 is acquired by the Rogers Communications and also has a repeater in Hope, British Columbia, which is known as CFSR-FM. Initially, the channel 98.3 was started as an AM station, recognized as CHWK and got on air for the first time on June 27, 1927, having permissions to broadcast only for two hours. Casey Wells and Jack Menzies were the owners that laid the foundation of the 98.3 Star, as the people of the Chilliwack had many problems while receiving signals from Vancouver. The ownership and the frequencies of the 98.3 have been replaced for several times. During 1957, Fraser Valley Broadcasters Ltd took the rights of CKSR-FM. In 1986, Bill Coombes, the former president of Fraser Valley Broadcasters, moved the channel to the FM frequency and original call-sign and branding. During 1999, Rogers Communications, the current owner of the CKSR-FM, acquired the Fraser Valley Broadcasters along with all of its stations. Wait for a few moments as the Star FM Web Radio Player gets the stream loaded. 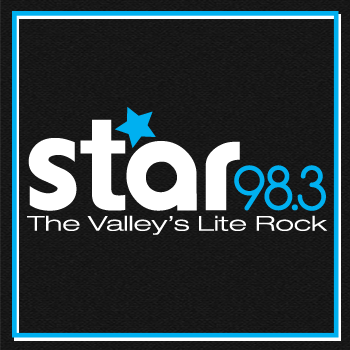 The slogan of the Star 98.3 is “The Valley’s Lite Rock’ and it plays top playlists of Adult contemporary. Listeners in Chilliwack, British Columbia, can adjust the frequency of their radio’s dial to 98.3MHz to enjoy the latest hits of the format. The worldwide fans can Listen Star 98.3 FM live online streaming from the official site and the Star FM web radio player. Star Club is a VIP club of the 98.3, the member of which can get rewards and prizes by listening and collecting the bonus codes. You can also receive the bonus codes by logging into the account and completing a survey. Reading weekly email newsletter can also give you bonus codes to win the Star Club Contest. From the website, a listener or visitor can listen to the latest and on-demand playlists. See the community events and add yours by browsing to the events section. Fans can also listen Star 98.3 FM live on their iPhone or Android phones by downloading the application. Join the CKSR-FM on Facebook, Twitter, Pinterest and Instagram.